RocketKeys gives a voice to people with ALS, Aphasia, Autism, Brain Injury, Cerebral Palsy, MND, and Parkinson’s, using its customizable keyboards, accessible input, and sentence prediction. RocketKeys is tailored to fit your exact communication needs. 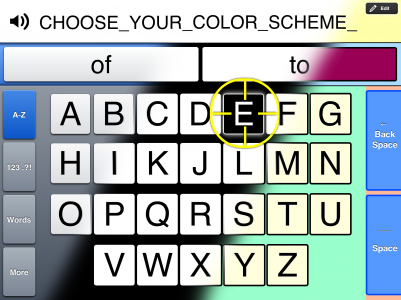 This powerful communication aid app lets you design your ideal keyboard by choosing the exact keys, size, layout, colors, prediction, and voices you want. Other assistive keyboards offer just a handful of rigid options that don’t work for many users. With RockeyKeys, you don’t have to settle. It can be all keyboards to all people: Fifty keys or just one. Big or small. Individual letters or whole words. With up to four extra pages of functions. In virtually any layout. 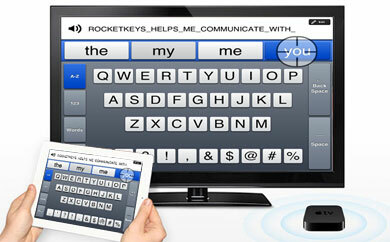 RockeyKeys is the ultimate talking keyboard for people with speech disabilities. Say more with less effort. 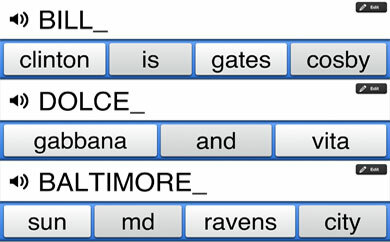 RocketKeys’ sentence prediction is blazingly fast and culturally literate. RocketKeys’ phrase completion system is built from the ground up to support real social conversations. Convenient word predictions can save up to 75% of keystrokes. And because it’s based on a groundbreaking analysis of 10 million Twitter tweets, the names, pop-culture references, and idioms we use every day are even easier to type. Beyond suggesting next words, RocketKeys can often complete the words you type, even if you abbreviated them, or typed letters in the wrong order. Type easily, even with unsteady hands or vision challenges. 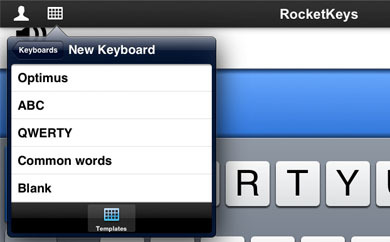 RocketKeys lets users who usually struggle to type on an iPad do so easily. If you have unsteady hands, weakness or an inability to use individual fingers, typing on touchscreens can be very difficult. RocketKeys changes all that by giving you new options for physical accessibility. 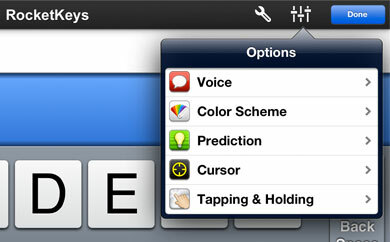 For the first time, users can place any number of fingers on the screen and still make keyboard selections effectively. Optional stabilization can smooth out even the shakiest input. And you can choose to simply hold your hand near a key to make a selection if tapping is challenging. For users with low vision or blindness, customizable screen reading lets you “feel” your way around the keyboard with ease. Sound your best with lifelike voices. 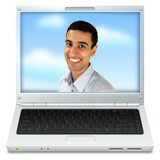 RocketKeys includes lifelike voices for men, women, boys, and girls. You can set the pitch, speed, and volume to your exact preferences. And RockeyKeys is the only app that lets you configure up to three independent voices for speaking, tapping, and hovering on keys. 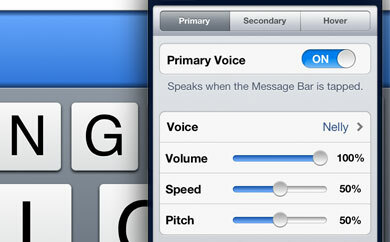 This lets you configure distinctive, quieter, or faster voices for audio feedback as you type. You can even hear your typing in one gender and speak your message in another, letting listeners easily distinguish your intended communication from your composition process. RocketKeys comes with great templates to get you going. While RocketKeys can be precisely tailored to your personal needs, it’s also useful right from the start. Launching the app, you’ll find that all of its features like sentence prediction work immediately. When you’re ready to start customizing, you can choose from five great keyboard templates, and three distinct color schemes. And if you want to make even finer changes, RocketKeys’ powerful options and tools are quick and easy to navigate. RocketKeys works for users with blindness and low vision. 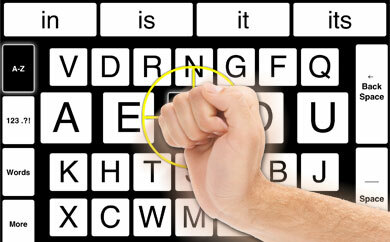 If you have vision challenges, RocketKeys has special features that make it easier for you to communicate. A customizable on-screen cursor shows you what items you’re touching on the screen. AirPlay mirroring lets you see RocketKeys on a larger HD television screen. And high-contrast color schemes help you see the keyboard even better. If you want to use the app eyes-free, RocketKeys offers completely customizable audio prompts that let you “feel” your way around the keyboard with voice narration at the speed, pitch, and gender you choose. RocketKeys supports up to 7 different users per iPad. If you’re a clinician or teacher, testing and customizing communication aids for your clients and students is an essential part of your job. 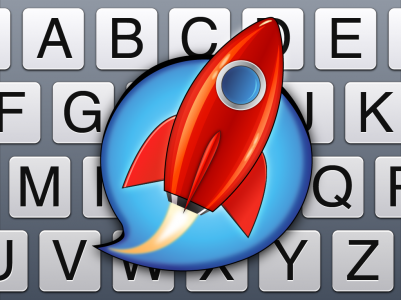 RocketKeys helps you quickly try out new layouts and settings with its fast user switching. To start from a blank slate, just add a new user. Every user gets their own set of personal settings and keyboard layouts. 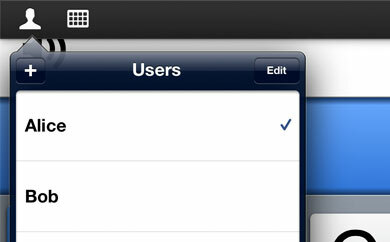 And because you can switch user profiles in just two taps, sharing one device among a group of people is simple. 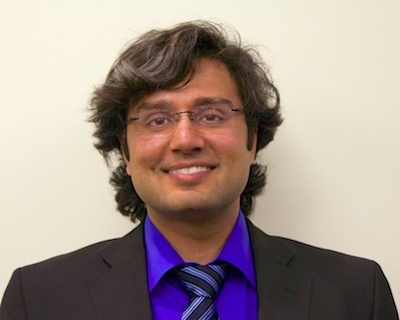 Inspired by his cousin, who sustained a brain injury in a traffic accident, Chirag Mehta worked to create the innovative technologies that power RocketKeys. Chirag joined MyVoice in 2012, and has been thrilled to see RocketKeys give a voice to children and adults around the world. Chirag lives in Florida with his wife, their three cats, two dogs, four tortoises, four rabbits, two ducks, two prairie dogs, nine finches, and a cockatiel. MyVoice Inc. makes RocketKeys and TalkRocket Go, two life-changing apps that help people with speech and language disabilities speak using iPad and iPhone. MyVoice’s products have helped thousands of kids and adults in 30 countries lead richer, more independent lives by providing amazing, beautifully designed assistive technologies at affordable prices. Copyright © MyVoice Inc. All rights reserved.